I've been writing fiction seriously for ten years and have two novels published in my native Sweden. 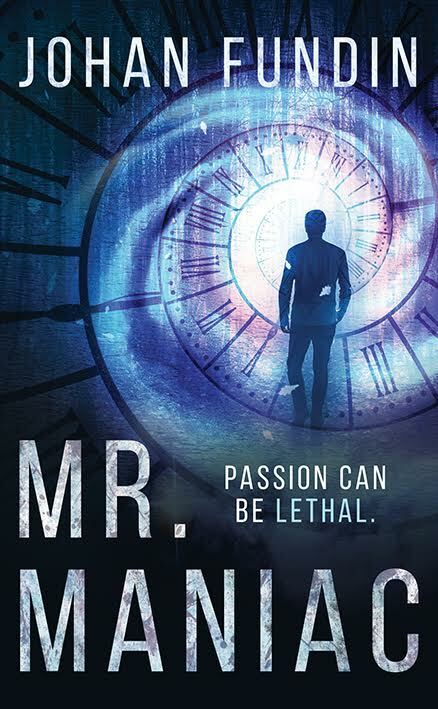 Mr. Maniac is my first novel for the international market. The title will be released both as paperback and eBook (Amazon Kindle and ePub format eBooks). A horror suspense novelist gets lost in the grey zone between fiction and reality when real murders of young women appear copied from his latest, still unfinished manuscript. Someone is murdering female students at a university in northern England. Among the victims is a Swedish girl. Kenneth Sorin, a chemical physics doctor and horror suspense novelist, starts his own murky murder investigation with the help of his cat and his new mysterious girlfriend. The girlfriend turns out to be a spy and secret agent for SCDX, a shadowy international law enforcement organisation. Meanwhile, Kenneth receives strange telephone calls: an old lady who died ten years ago phones the author from her grave, encouraging him to look inside himself for the truth. The tracks lead Kenneth to the world of science and mysticism, including a meeting with a professor in Paris. He discovers bizarre elements in his own fiction writing. In addition, he happened to meet the Swedish girl twice: the same evening she was stabbed to death, and a year earlier, in connection with a trip to Sweden. Could he be the killer himself? Is the author a psychotic fictional character who stepped out of his own book?